We're sitting under my floodlamp parked up in the mountains chatting after dinner. 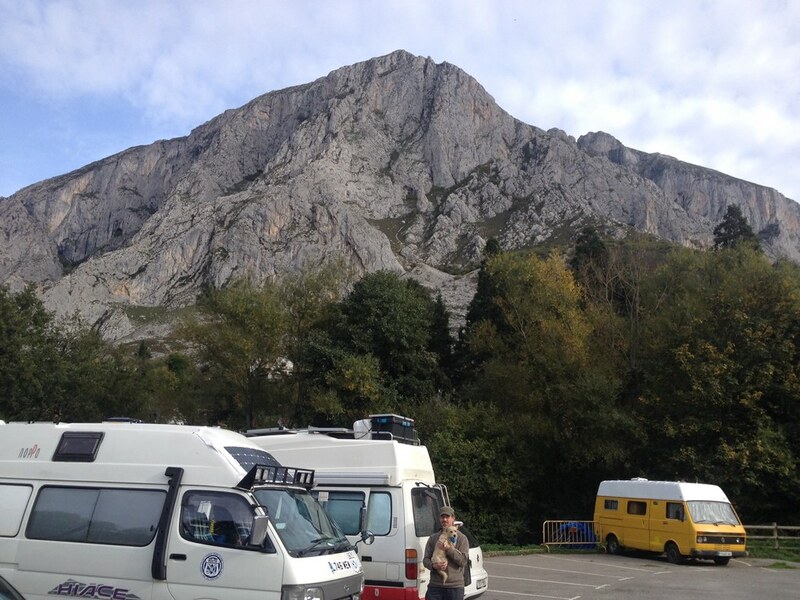 Yesterday afternoon I met up with Rab in Cangas de Onis, west Picos mountains after a drive along the coast. A great place to meet up and get a few supplies in, as well as a beautiful place in its own right. 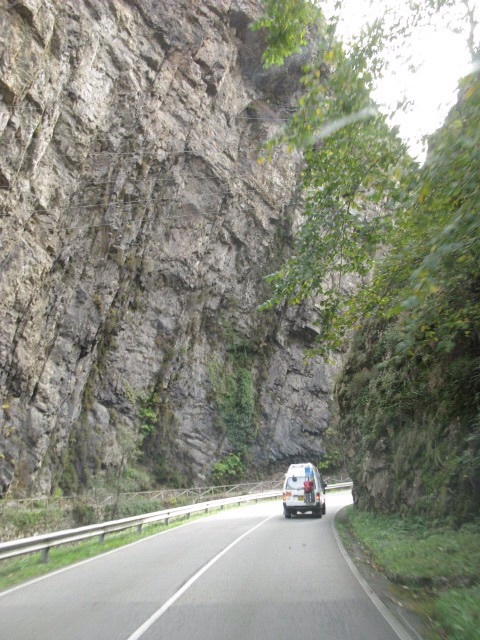 Today's drive passed through some spectacular scenery including steep cliffs, gorges and mountain peaks, passing through villages deep in the mountains. A great start to the journey through Spain, and following a different route to my previous travels in the area.